After a heavy meal I do enjoy a light and fresh pudding. 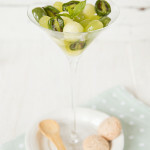 This green fruit salad is elegant and healthy as well as delicious. 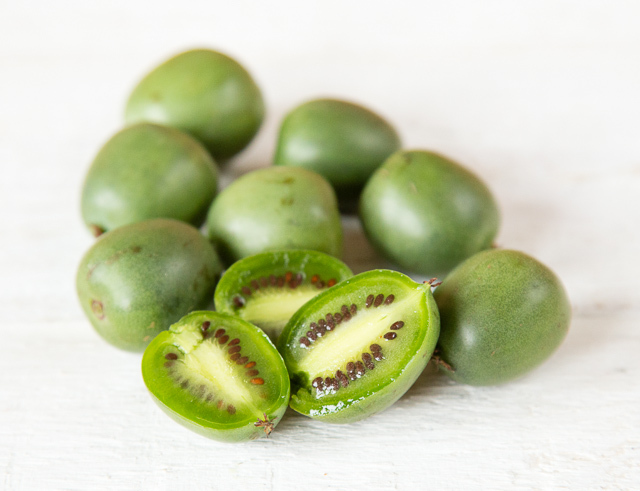 It contains NERGI® Kiwiberries, and if you serve this at a dinner party I am sure that these naturally sweet baby kiwis will be a talking point for your guests. Although it looks like a baby kiwi the NERGI® is actually a berry, which originated in Asia over a thousand years ago and is now grown in France, Italy, Portugal and the Netherlands. The NERGI® has smooth thin skin, so no peeling required, and is handy and easy to eat. Pop some into a lunch box, or have then for snacking. To showcase the berries I have made a simple fruit salad, with the NERGI®, grapes and melon. 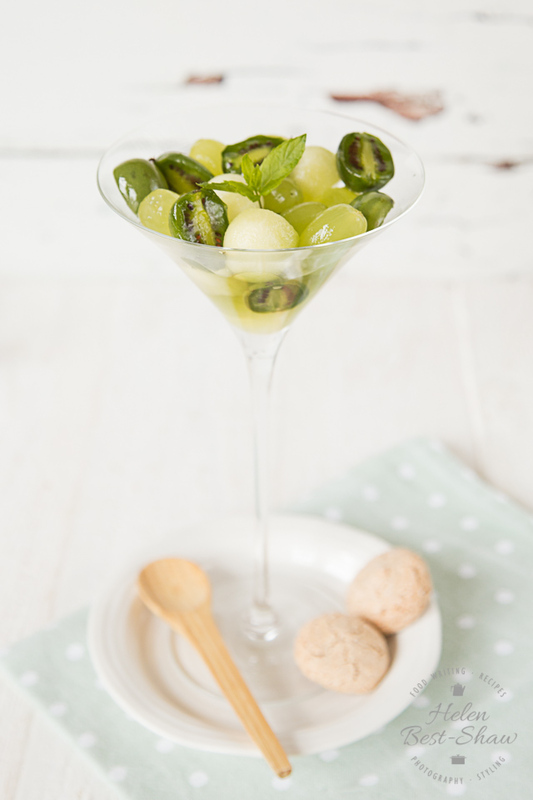 You do need to make this the day before so the lemongrass syrup soaks into the fruit, and at least partially peeling the grapes is a necessary chore – if you are really pushed for time then simply slice the grapes in half – but I think it is worth the effort of peeling them. If you try this Recipe: Kiwiberry Green Fruit Salad with Lemongrass Syrup please tag #FussFreeFlavours on Instagram or Twitter. It is amazing for me when for me when you make one of my recipes and I really do love to see them. You can also share it on my Facebook page. Please pin this recipe to Pinterest too! Thanks for reading Fuss Free Flavours! Place the sugar, water and lemongrass into a pan and bring to a simmer. Simmer for 5 minutes and allow to cool. Strain the syrup into a bowl. Prepare the fruit and place in a bowl, pour the lemongrass syrup over, and gently stir. Cover and allow to infuse in the fridge for at least 3 hours.